The purpose of this project was to design an experiential activity for the Oregon State University Women's Building and move people through the space in an interactive way. 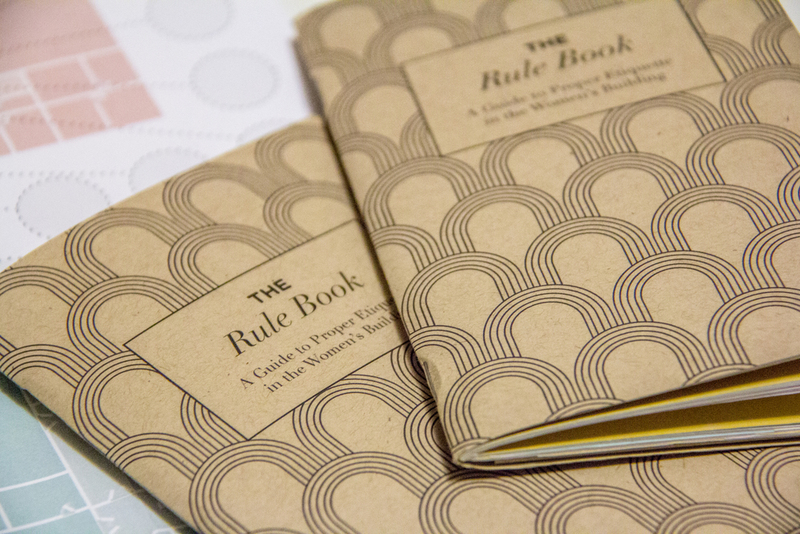 I collaborated with three other designers to create a rule book and map for the Oregon Women’s Building that included a set of numbered stickers. Blank spaces pointed to spots on the building map where rules (and there are a surprisingly vast number of them) were posted throughout the building. The goal was for people to move through the building and locate where each of the rules in the book were physically placed in the building as a way to familiarize them with etiquette for the space and encourage exploration. My primary role in the project was the design and creation of the building map. I created a simplified version of the building with the aid of floor plans provided by OSU facilities and marked where specific rules were located. I also was involved in editing the content and the physical printing and by hand assembly of the books themselves.